Sometimes concealed leaks are hidden in walls or underneath floors can go undetected for weeks. Which can turn into a serious problem if not found early on and can waste thousands of litres of water a day. Water leaks occurring on a person’s private property automatically makes that person responsible. There is sometimes nothing you can do, overtime water pipes fail because of age, and cold weather. This can become a frustrating process for home owners when discovering leaky taps or pipes. Because not only you have a leaking pipe finding it can be as challenging. Sometimes it can get so difficult finding pesky leaks, over time, this can cause damage to your utility bills. That’s why finding leaks early can save you money and avoid any costly damage to your home. Finding concealed leaks on your property is finding hidden leaks from view. Concealed links don’t mean taps toilets, hot water systems or appliances. Concealed leaks caused by broken pipes on he customer’s side of the water meter are the responsibility of the home owner. 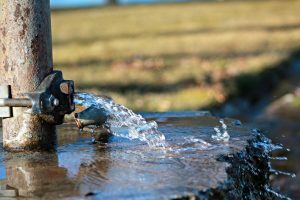 To a guideline to help catch those pesky leaks early start by looking for visible leaks from taps, toilets, and irrigation systems. Make sure to turn off all the taps, water appliances and irrigation on your property. Look at your water meter check and note the number of the reading. Leave the water meter tap on. Keeping an eye on the meter can help you with saving money when it comes to utilities bills. Before bed check the water meter so when you wake up in the morning check it again. This is an easy way of knowing or checking if you have any leaking pipes in your property. If your water meter is moving when the last time you sore and you know your household is not using water, it’s still good to get a plumber to look. Water Services encourage their customers to monitor their meter to help identify what uses the most water and how you can indicate where saving can be made. If a leak is not showing anywhere visible or its concealed underground hiring a professional plumber can be a great cost-effective way to your problem. Finding leaks underground or underneath a concrete slab can be difficult to find. 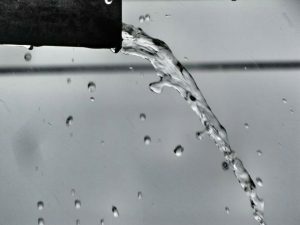 You may encounter a leak you cannot see directly, there may be water pooling in an odd place, a damp spot on the lawn, a letter from the council or a high-water bill. Hire expert leak detectors will find your leak fast and fix it on the spot. Leak detectors use the latest non-invasive leak detection technology the High Frequency Ultra Sonic Listening Device to detect precisely where even the smallest leak is coming from. The greatest advantage of our listening devices is that we don’t need to punch holes into walls or drill into concrete to find the leak, our listening devices can detect leaks through walls and concrete. We recommend that you check for leaks using these simple steps.